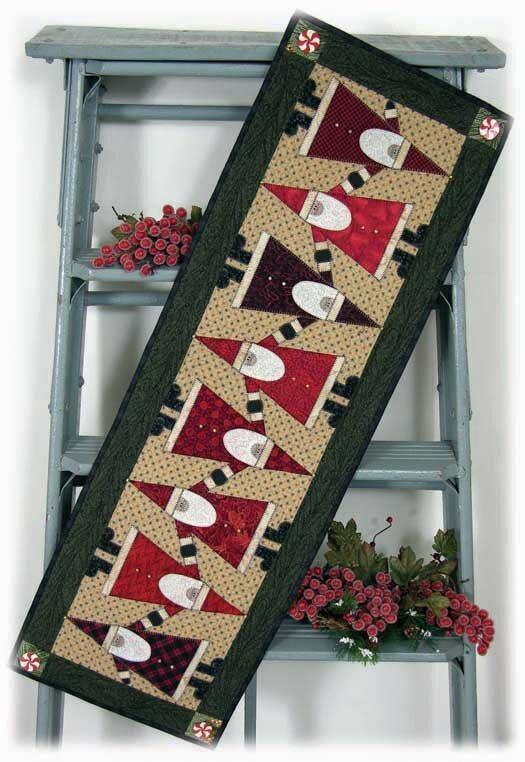 Topsy Turvy Santa Runner Pattern with Embellishment kit, Christmas is on the way with this whimsical Santa table runner. Features Engraved Peppermint Candy Chunke Buttons?. Quick and easy applique project. Finished size 15 by 44 inches.